The aim of this paper was to investigate whether it is possible to evaluate the relationship between different phases of sprint start objectively. The participants of the research were the top level of elite National Sprint Team (8 female, 9 male). The run times were as follows: 10.39 ±0.12 s for men and 11.63 ±0.20 s for women. The data that were taken into account during the research in order to examine typical kinetic parameters of the sprint start were: reaction time, delay between simple reaction time and reaction time (IAAF), time to front peak force, time to rear peak force, delay between end of front force and gun signal and total start time. The analysis of the study identifies the major kinematic parameters of the phases of the sprint start and block acceleration that influence the results of sprint running. The following correlation analyses were conducted, a linear regression for the typical kinetic parameters of the sprint start, initial speed on 100 metre race. Finally, a simple coaching related model for the development of sprinting is presented which is consistent with scientific evidence recommendations for coaches to make changes in training. 1. Bruggemann G., Glad B. Time analysis of the sprint events. Scientific Research Project at the Games of the XXXIV Olympiad Seoul 1988. IAAF, New Studies in Athletics. 1990; Supplement. 2. Bradshaw E., Maulder P., Keogh J. Biological movement variability during the sprint start: performance enhancement or hindrance? Sports Biomechanics. 2007; 6 (3): 246–260. 3. 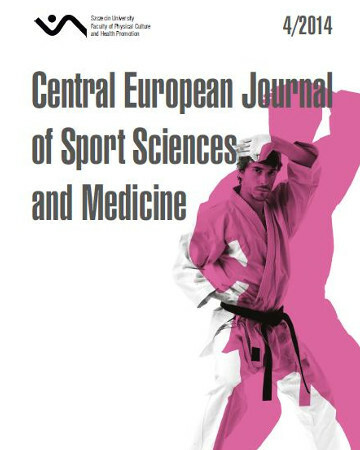 Coh M., Tomazin K., Štuhec S. The biomechanical model of the sprint start and block acceleration. Facta Universitatis Physical Education and Sport. 2006; 4 (2): 103–114. 4. Delecluse C., Coppenolle H., Diels R., Goris M. The F.A.S.T. project – A scientific follow – up of sprinting abilities. New Studies in Athletics. 1992; 11 (2–3): 141–143. 5. Henry F. Force-time characteristics of the sprint start. Research Quarterly. 1952; 23: 301–318. 7. IAAF. Competition Rules 2012–2013. Monaco 2013. 8. Iskra J., Osik T., Walaszczyk A. Trening w biegach sprinterskich dla początkujących i zaawansowanych. ARF Media. Poznań 2002. 9. Maćkała K., Kowalski P. Trening w biegach krótkich – założenia teoretyczne i implikacje praktyczne. Wydawnictwo AWF. Wrocław 2007. 10. Mero A., Komi P. Reaction time and electromyography activity during a sprint start. European Journal of Applied Physiology. 1990; 61: 73–80. 11. Salo A., Bezodis I. Which starting style is faster in sprint running- standing or crouch start. Sports Biomechanics. 2004; 3 (1): 43–54. 12. Sozański H., Witczak T. Trening szybkości. Sport i Turystyka. Warszawa 1981. 13. Tellez T., Doolittle D. Sprinting from start to finish. Track Technique. 1984; 88: 2802–2805. 14. Terczyński R. Rozkład prędkości w biegu na 100 metrów na różnym poziomie sportowym. Sport and Tourism in Modern Lifestyl. Monografie AWF Poznań. 2009: 393, 35–42. 15. Terczyński R. Dylematy startów i falstartów. Magazyn Lekkoatletyczny. Lama Production. Warszawa 2010; 1: 36–38.